For most of us, body fat has a bad reputation. From the dimply cellulite plaguing women’s thighs to the beer bellies that can pop out in middle-aged men, fat is typically something we agonize over, scorn, and try to exercise away. Belly fat has gotten a mostly deserved reputation as an unhealthy fat. “Understand that belly fat is both visceral and subcutaneous,” says Kristen Gill Hairston, MD, MPH, an assistant professor of medicine at Wake Forest University School of Medicine, Winston-Salem, N.C. However, did you know that not all belly fat is bad? Much of the fat in the stomach area lies directly under the skin. This is called subcutaneous fat and is not necessarily hazardous to your health. 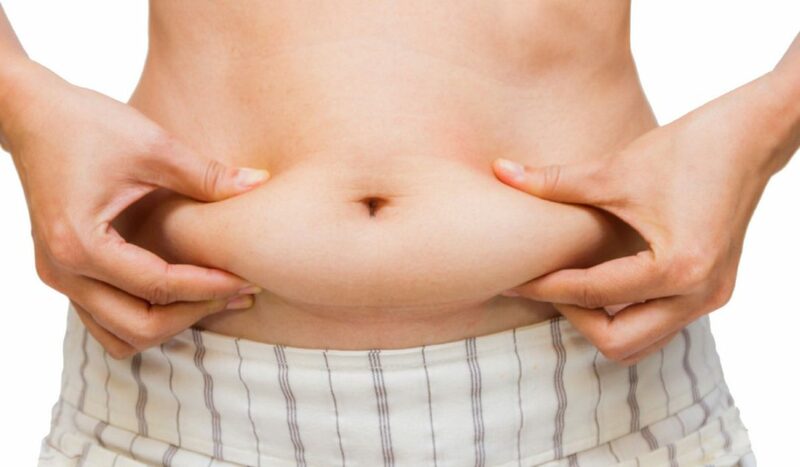 The fat that is harmful is the unseen fat around your organs, otherwise known are visceral abdominal fat. You may have visceral fat but yet not be obese. Visceral fat is different in that it remains the same shape and won’t fall to your sides or sink into your stomach when you are lying down. High visceral fat is dangerous and is correlated with cholesterol, diabetes, Alzheimer’s and other conditions. This is because visceral fat is the fat that is located inside the abdominal cavity – packed between organs – rather than underneath the skin (subcutaneous fat) and this fat will release acids that are metabolized by the liver and which can cause insulin resistance in the liver. “Subcutaneous fat” is the pinchable, squishy fat right between your skin and muscle that helps keep you warm, cushions you against shock, and stores extra calories. Everyone has subcutaneous fat, but some people have more than others. The number of fat cells in the body is determined by genetics, and so some people are genetically predestined to have fewer fat cells, whereas other people have more fat cells. However, the number of fat cells does not necessarily correspond to being overweight, that is determined by the amount of fat stored in each cell, which is regulated by caloric intake, activity levels, and genetics. Regardless of the type of fat you want to lose, the process is the same. You must reduce your calorie intake below what you burn daily. A deficit of 500 to 1,000 calories is usually recommended as this yields a healthy 1- to 2-pound per week loss. For petite or inactive women, a 1,000-calorie deficit may cut calories too low, so cutting only 250 to 500 calories may be recommended. Losing weight too quickly increases the amount of muscle you lose, instead of fat, and increases the likelihood weight will be regained. Determine your daily calorie needs using an online calculator or by speaking to a dietitian. From that number, subtract 250 to 500 calories to determine how many calories you should eat daily. Make those calories come from nutrient-rich foods like lean proteins, whole grains, vegetables, fruits and low-fat dairy. If you want to get rid of visceral fat and lower your risk for heart disease and diabetes, start with cutting down on your calories and getting more exercise. When people slim down through exercise and diet, visceral fat disappears twice as fast as subcutaneous fat according to Dr. Klein, Professor of Medicine and Nutritional Science at Washington University School of Medicine. Your body will store fat in a random order that is dictated by your genetics. 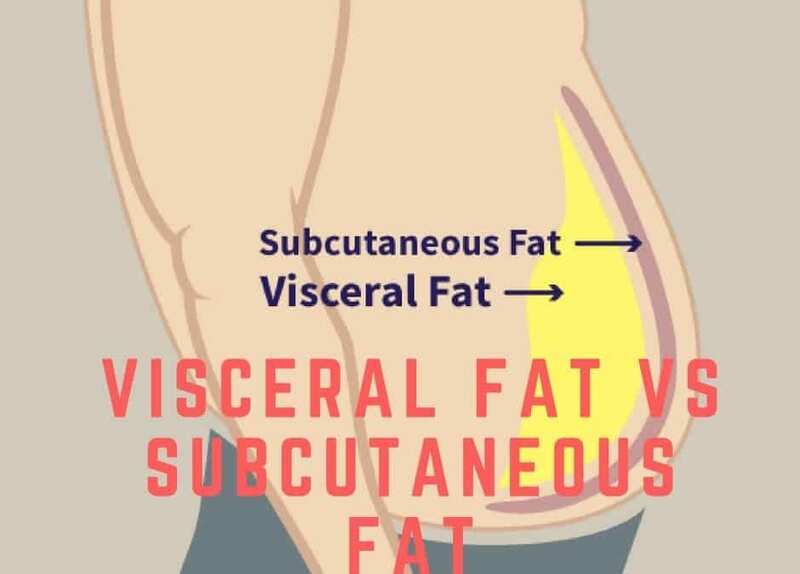 Visceral fat is just like any other fat except that rather than storing the fat on your arms, your body has this time opted to place the fat in your abdominal cavity. If you then begin to burn and lose fat, this will of course reduce the amount of fat in your body, but the order that your system goes about looking for that fat will be based on the same genetic pattern. It will take the fat from your body in the reverse order that it put it there. So there’s no point doing hundreds of sit ups – this won’t burn much fat (because you won’t be able to do them for long enough or vigorously enough) and it won’t mean that the fat is burned from your stomach. Instead then you need to burn as much fat as possible with high intensity cardiovascular exercise and continue doing so until it eventually burns the fat stored in the abdominal cavity. Cardiovascular exercise is any exercise where the body uses up the energy in the muscles and then needs to plunder the fat stores around the body for more. This means you need to exercise continuously and anything like running will work. The heart rate and breathing increases as a means to transport oxygen to the fat stores where it can be used to break it down. Tip: If you want to increase the intensity of your cardiovascular workouts then you should try using ‘interval training’ which involves running, jogging and walking for short bursts. This increases the cardiovascular activity and increases your production of growth hormone thereby burning more fat and improving your metabolism. In order for this fat to stay off though you also need to combine your efforts with the right diet. This is quite simple and means basically consuming fewer calories than you are going to burn off in a day (you also need to take on board your basal metabolic rate which is the amount of calories that your body burns simply in order to keep you upright and breathing). If you do this then you will gradually reduce the amount of fat in your body rather than simply replacing it after your workouts. 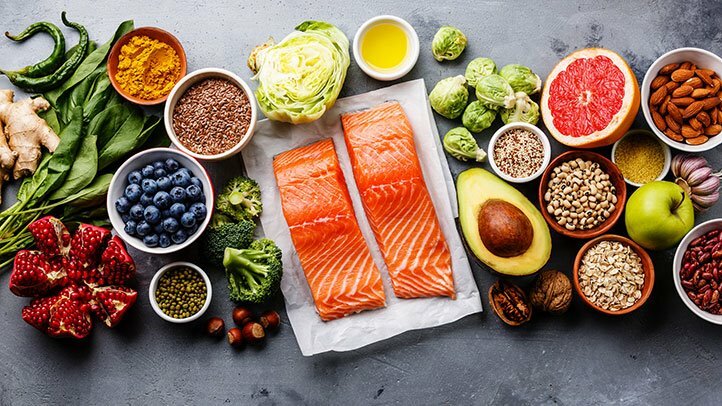 The foods that are highest in calories are generally fats and carbohydrates (simple carbs) and so by limiting these you can improve your caloric intake. Consuming protein and fiber meanwhile is good – particularly protein which will be used to repair the muscle damage caused by all the exercise. So, eat less of everything, and eat a lower ratio of carbs to proteins – but at the same time make sure you do get a balanced and nutritious diet. According to Dr. Jade Teta, an Integrative Physician and author of “The Metabolic Effect Diet” on the “Huffington Post” website, subcutaneous belly fat is more difficult to burn off than visceral fat. It’s stored when extra calories are influenced by the hormones cortisol and insulin. To lose subcutaneous belly fat, eat right, diet and balance your hormones. To help lose belly fat, replace sugars and starches in your diet with high-fiber and protein foods. Choose lean protein sources, such as eggs, nuts, fish and skinless chicken. Increase your intake of fruits and vegetables. They contain fewer calories per cup than most other foods, and the fiber in them will keep you feeling full for longer so that you take in fewer calories throughout the day. 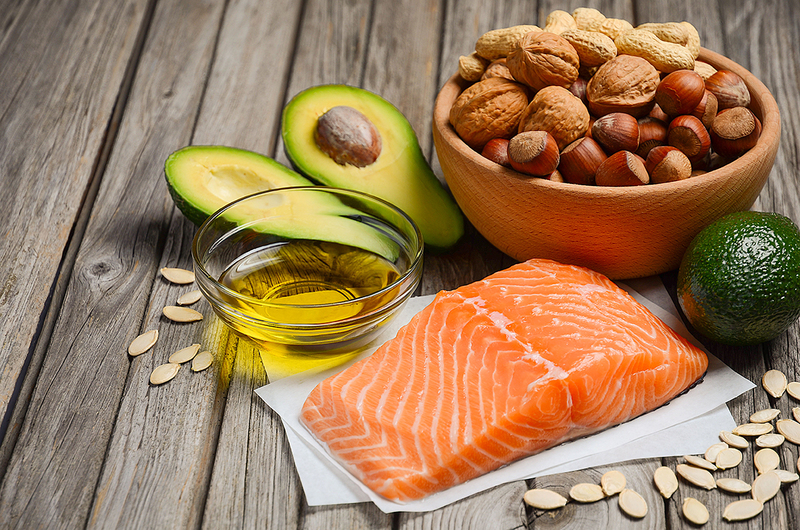 Focus on eating healthy fats found in olive oil, nuts and fatty fish, and lower your intake of saturated fat found in beef, pork and lamb, as well as processed meats such as sausage, hot dogs, bacon and lunch meats. Move your body whenever you can to expend more calories. Aerobic exercise and strength-training exercises burn calories and maintain your muscle mass, so your metabolism will stay at a healthy rate. Aerobic exercise, also known as cardio, involves repetitive movement of the limbs for an extended period of time. This form of exercise raises your core temperature, causing you to burn both visceral and subcutaneous fat. As an even greater benefit, aerobic exercise improves the function of your heart and lungs. Any form of cardio is beneficial, including running, brisk walking, jumping rope, swimming, kickboxing, step aerobics and rowing. Choose high-intensity exercise if you get the go-ahead from your doctor. A study published in 2008 in “Medicine and Science in Sports and Exercise” demonstrated that this form of exercise is most effective at reducing stubborn belly fat. Not only is this type of cardiovascular training best for improving both aerobic and anaerobic conditioning, it is also the best type of cardio that you can perform to burn fat, particularly HIIT burns subcutaneous fat. HIIT is the concept where one performs a short burst of high-intensity (or max-intensity) exercise followed by a brief low-intensity activity, repeatedly, until too exhausted to continue. Though there is no universal HIIT session duration, these intense workouts typically last under 30 minutes. HIIT exercise sessions generally consist of a warm up period, then several repetitions of high-intensity exercise separated by medium intensity exercise for recovery, then a cool down period. If you’re interested about treating stubborn fat and unsure if you are the right CoolSculpting candidate, contact The Body Sculpting Spa to schedule your free consultation, today.